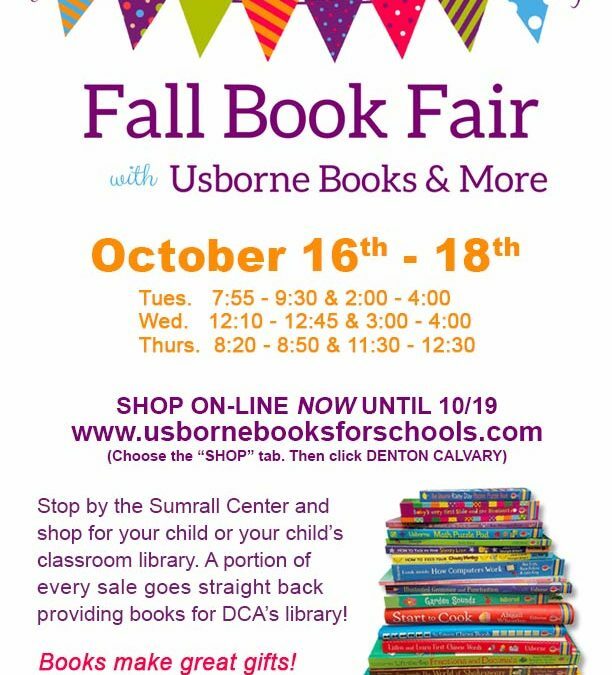 Our first ever Usborne book fair is coming to the Sumrall Center on October 16th – 18th. 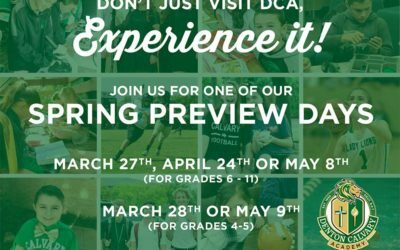 We hope you’ll make plans to come and shop! Not only are books a great gift idea, your purchase also helps provide books for your child’s classroom as well as DCA’s library! Students in the elementary grades will be given time to browse the books during their library time. They’ll be able to make a wish list of books they want to read. Then, parents can shop during several scheduled shopping times that coordinate with drop-off and pick-up times. We’ve even scheduled plenty of time to accommodate the grandparents who will be on campus for Grandparent’s Day. 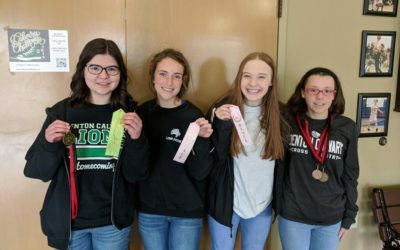 In addition, middle school students wishing to browse the book fair can do so during lunch and at carpool on Wednesday of the fair. If none of those times work for you, feel free to shop on-line now through October 19th.